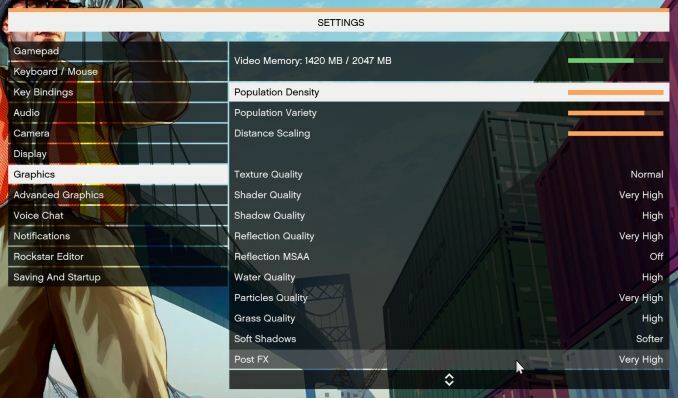 There are no presets for the graphics options on GTA, allowing the user to adjust options such as population density and distance scaling on sliders, but others such as texture/shadow/shader/water quality from Low to Very High. 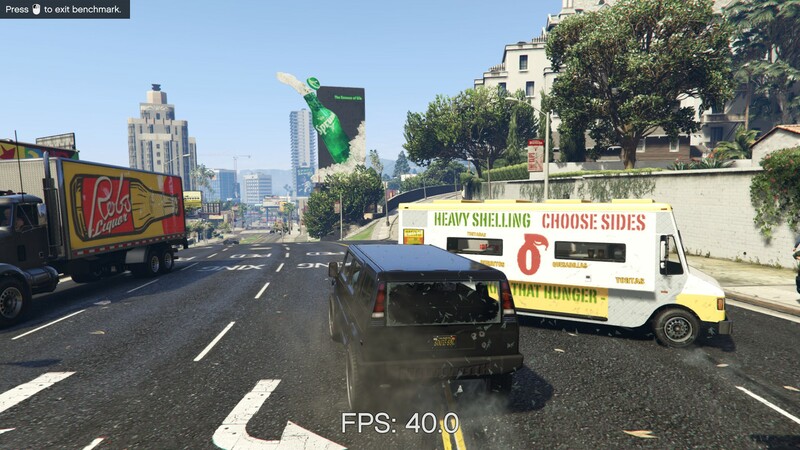 Other options include MSAA, soft shadows, post effects, shadow resolution and extended draw distance options. There is a handy option at the top which shows how much video memory the options are expected to consume, with obvious repercussions if a user requests more video memory than is present on the card (although there’s no obvious indication if you have a low-end GPU with lots of GPU memory, like an R7 240 4GB). 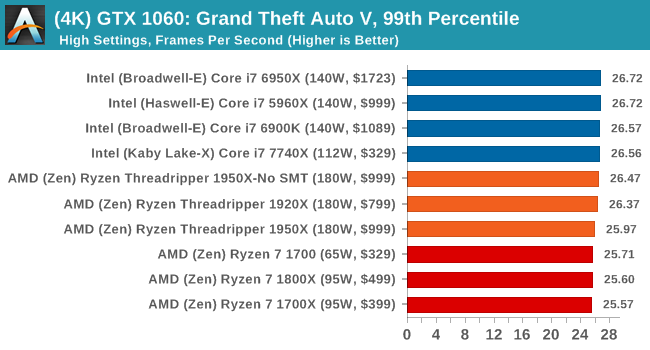 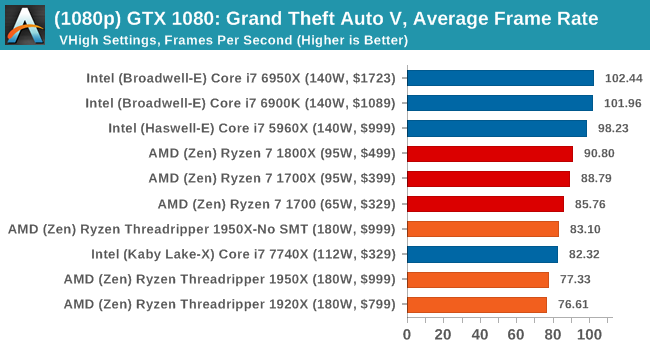 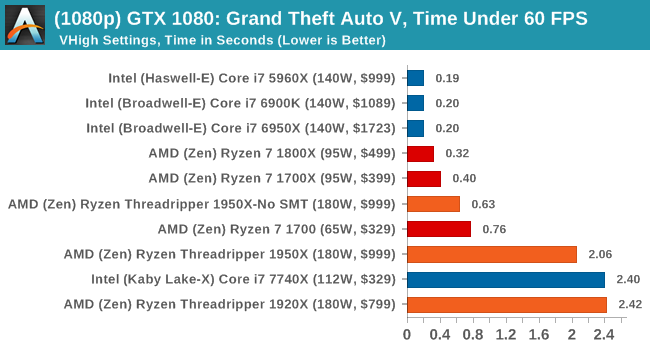 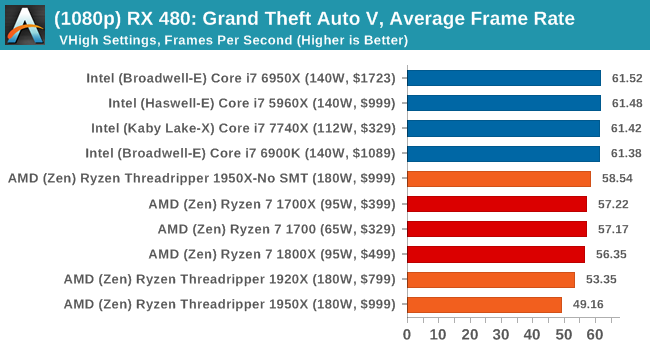 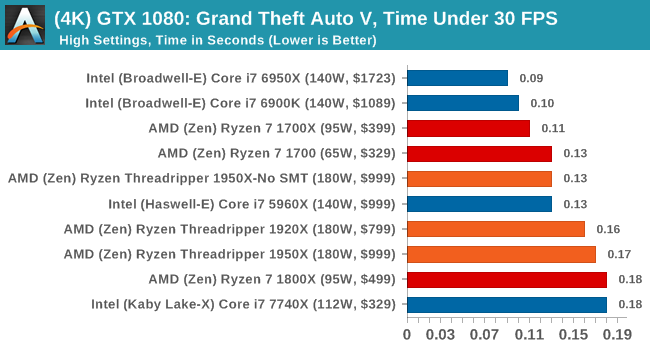 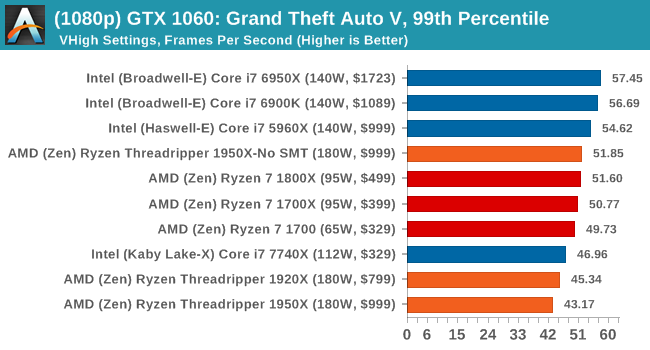 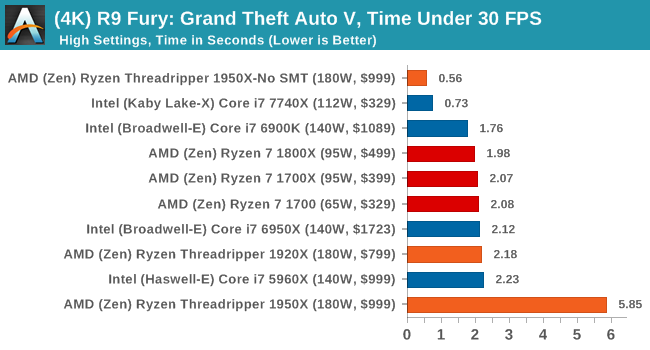 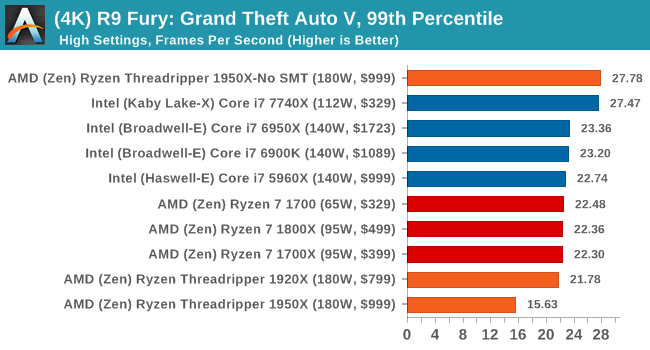 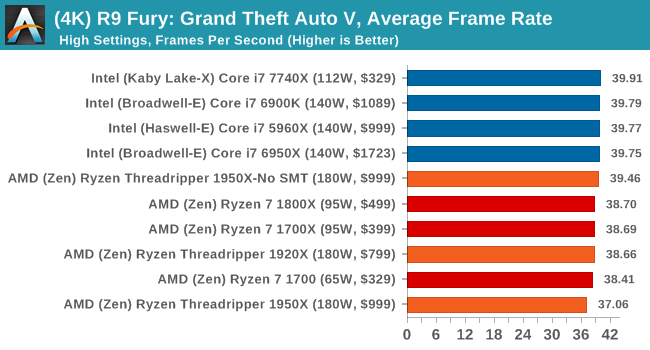 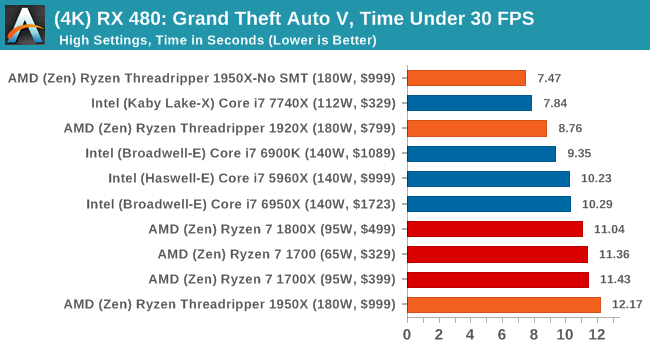 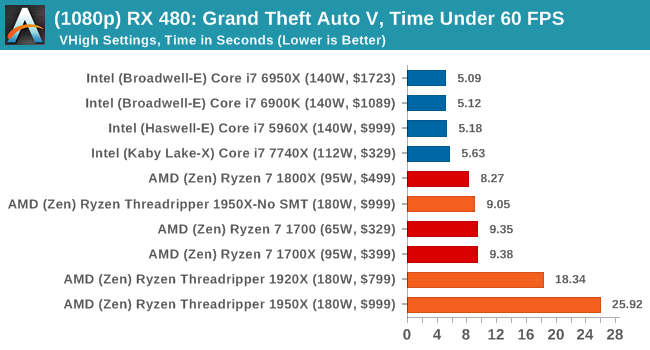 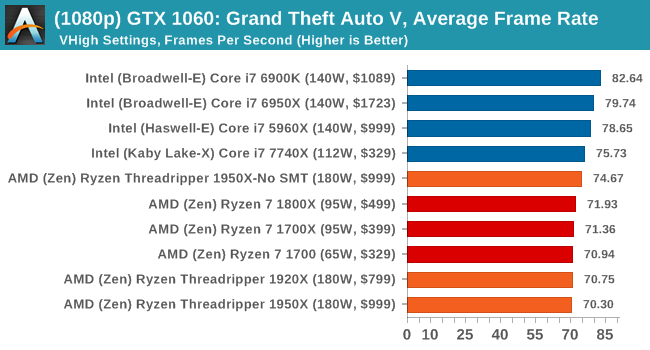 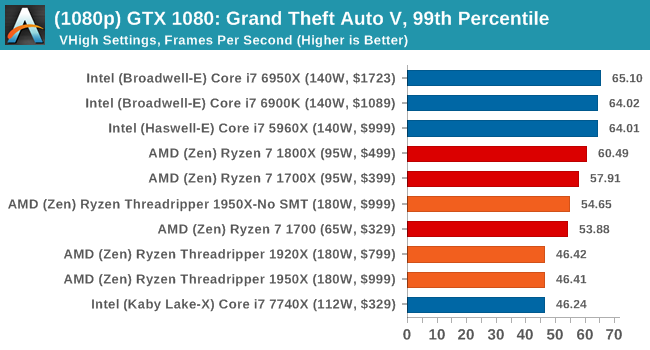 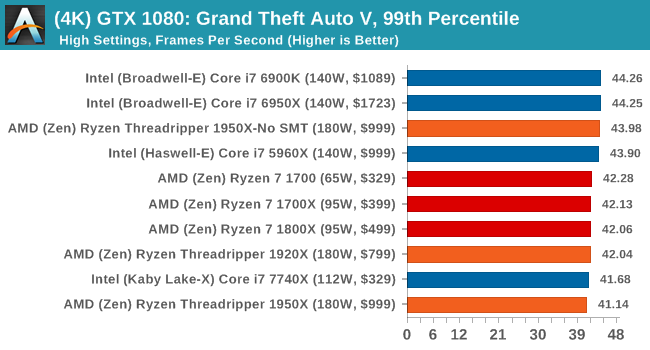 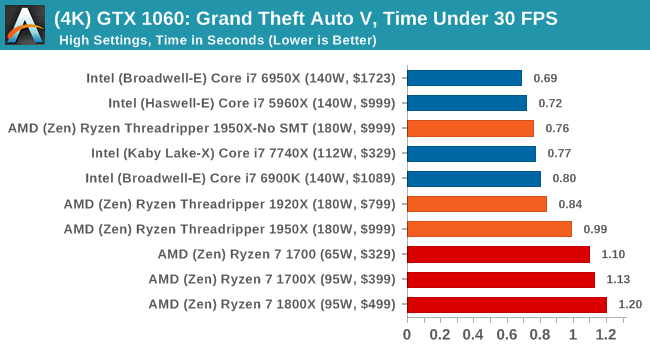 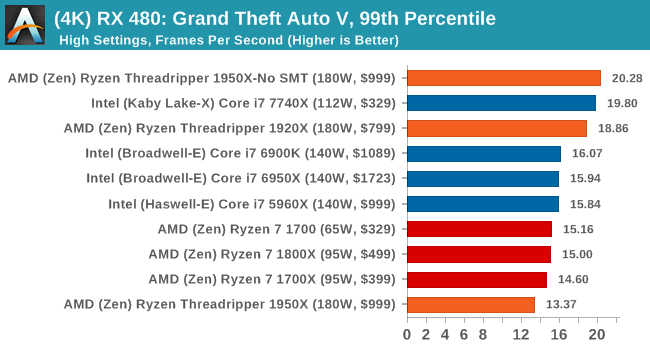 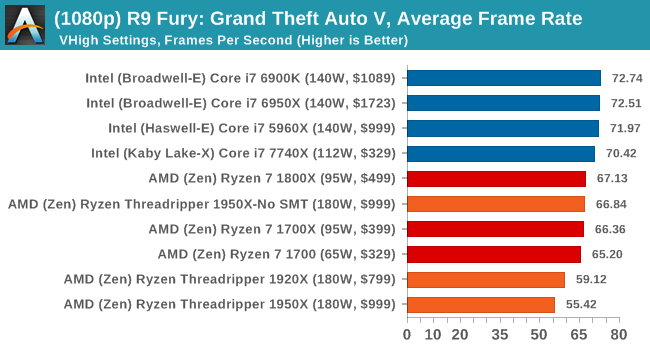 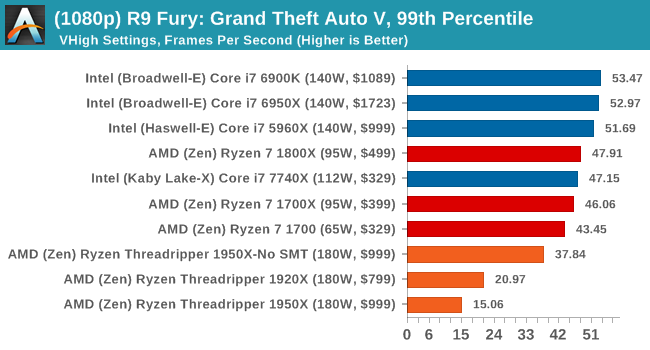 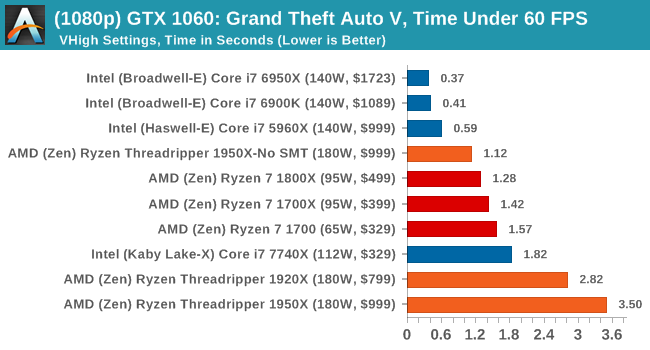 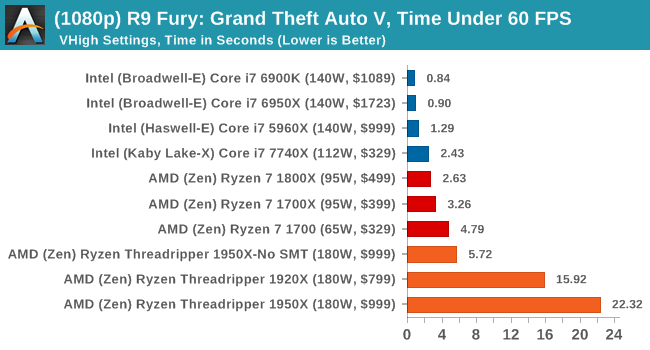 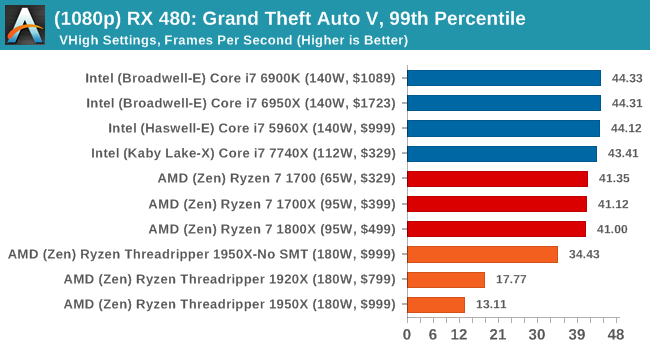 Depending on the CPU, for the most part Threadripper performs near to Ryzen or just below it.